Douglas was well known for his legal work and gained appointment as a Circuit Judge for the Eastern District of Florida. The position also entailed sitting as a Supreme Court Justice twice a year. 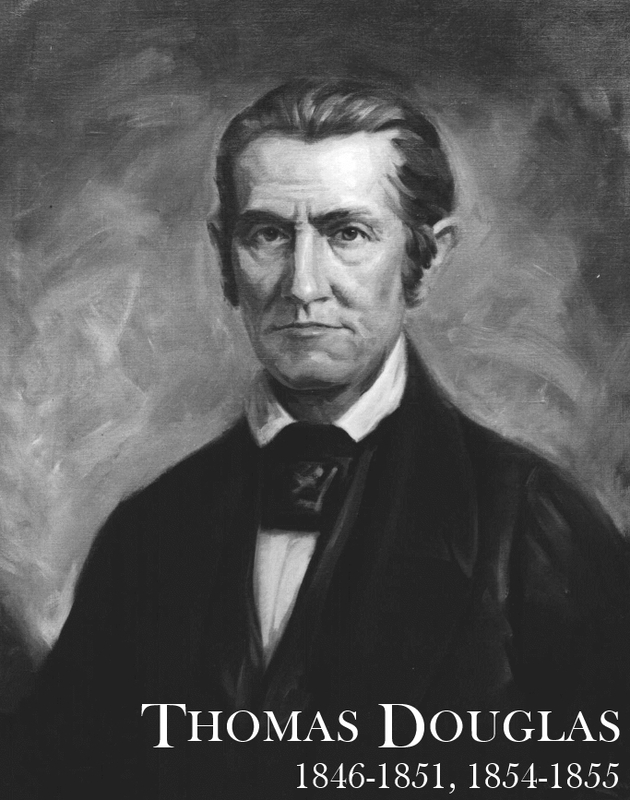 Douglas continued as Circuit Judge in 1851 when the Supreme Court was redefined as a separately elected office. Douglas was elected to the Supreme Court in 1854 but died in office the next year. According to Supreme Court historian Walter Manley, “Thomas Baltzell’s strong personality and willingness to venture where others feared to tread made him one of the most colorful Justices to serve on Florida’s Supreme Court.” Baltzell read law in Kentucky and traveled to Florida with his friend William P. DuVal (soon to be Territorial Governor) in 1825. 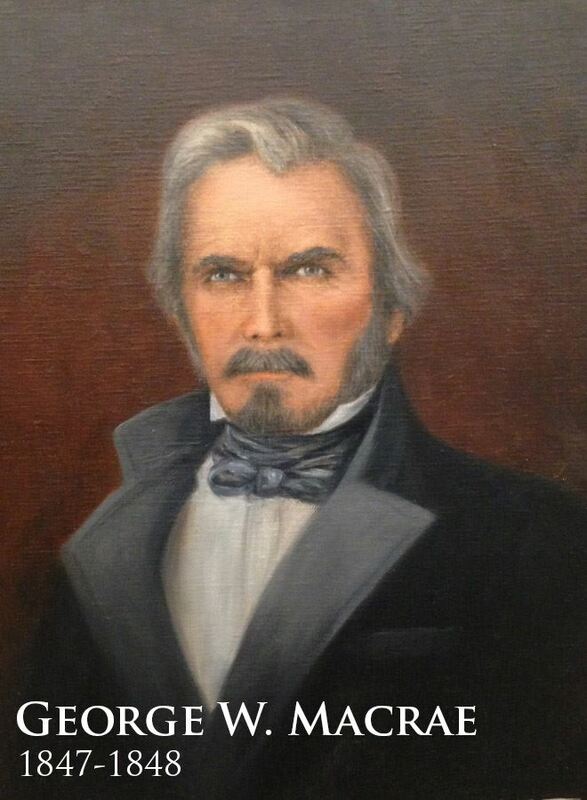 Settling in Jackson County by 1832, he fought a duel with the father of future Justice James D. Westcott. Both survived. He participated in the Territorial Council and was a member of the Constitutional Convention in 1838. He set up a law practice in Tallahassee and supervised the financing of the 1845 Capitol Building, still standing as part of today’s 1902 Old Capitol. Baltzell strongly supported the Democratic Party and when Florida became a state in 1845, he soon gained appointment as Florida Middle District Circuit Judge / Supreme Court Justice. When the Whig party gained the upper hand in Florida politics, Baltzell was not reappointed at the end of his term in 1851. However, he ran for the newly created separate office of Supreme Court Justice in 1853 and succeeded. He promoted education in the state, especially legal education at the new West Florida Seminary. In 1859 he became engaged in a major controversy with his two Associate Justices, at one point ordering the arrest of Justice Bird Pearson. The dispute was settled, though the unfavorable publicity led to Baltzell not being reelected to the Court. He served in the Florida wartime Legislature and as a member of the 1865 Florida Constitutional Convention, but died soon after the end of the convention. George Hawkins graduated from Columbia University and briefly practiced law in New York City before moving to Florida at age 20. He settled in Marianna and began a distinguished legal career. Hawkins was admitted to practice before the U.S. Supreme Court in 1833, and served in the territorial legislature as well as the state militia during the Second Seminole War. He also gained appointment as the U.S. attorney for the Apalachicola district in 1842. Upon statehood, Hawkins was elected to the new state Senate, but also received the nomination for judge of the western circuit. Until 1851, the three circuit judges in Florida also sat as the state Supreme Court twice a year. Hawkins resigned his Senate seat to become circuit/Supreme Court judge. Nominally a Whig, the new judge also worked closely with Democratic Party leaders and gained reelection to the court in 1848 and 1850. He accepted a federal appointment as collector of customs at Apalachicola in 1853. By this time he had joined the Democratic Party and was elected to the U.S. House of Representatives in 1856 and again in 1858. When secession became an issue with the election of Abraham Lincoln as U.S. president, Hawkins became the first member of Congress to resign, on January 21, 1861. He later served as a Confederate district court judge, then, after the war, carried on a private law practice in his hometown, where he died while working on a re-codification of Florida law. George Macrae is one of the mysteries of the Supreme Court. Little information has been uncovered about him. The painting of the justice is entirely imaginary. No actual photograph or portrait of him has ever been identified. There is no evidence of the date and place of his birth or of his family history. Macrae first came into prominence in Florida in 1842, when President John Tyler appointed him United States Attorney for the Southern District. Two years later, Macrae won election to the territorial senate from South Florida. When another candidate declined appointment in 1847 as circuit judge for the southern circuit, Governor William Moseley turned to Macrae, whom the legislature had also previously considered for the position. After serving only a single year as circuit judge/Supreme Court justice, Macrae was replaced by Florida House of Representatives Speaker Joseph Lancaster. Macrae’s activities after leaving the court are as uncertain as his origins. Kentuckian William P. DuVal persuaded his friend and fellow attorney, Joseph Lancaster, to come with him to Florida in 1822. U.S. President James Monroe had appointed DuVal governor of the newly formed Territory of Florida. Lancaster received a series of advantageous appointments that brought him to the forefront of Florida politics. In 1839, he was elected to the Territorial Council and was reelected until Florida became a state in 1845. In 1846, voters in Jacksonville elected him their mayor, and in 1847 sent him to the state legislature as a member of the Whig party. He served as Speaker of the House, and later was appointed Circuit Judge for Florida’s Southern District. At that time the circuit judges met twice each year to sit as the Justices of the Supreme Court. He continued in office until unseated in a judicial election in 1853. 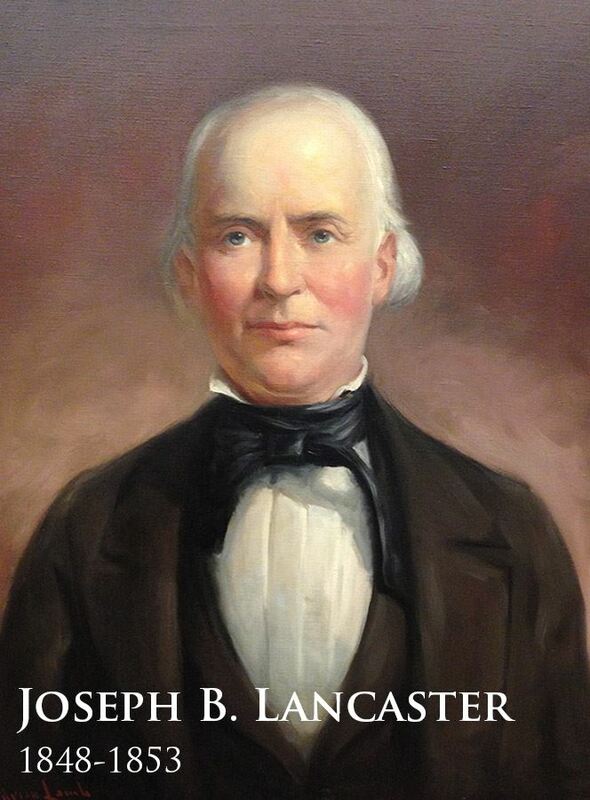 Lancaster moved to Tampa, where he was elected mayor in 1856, but died before he could take office. 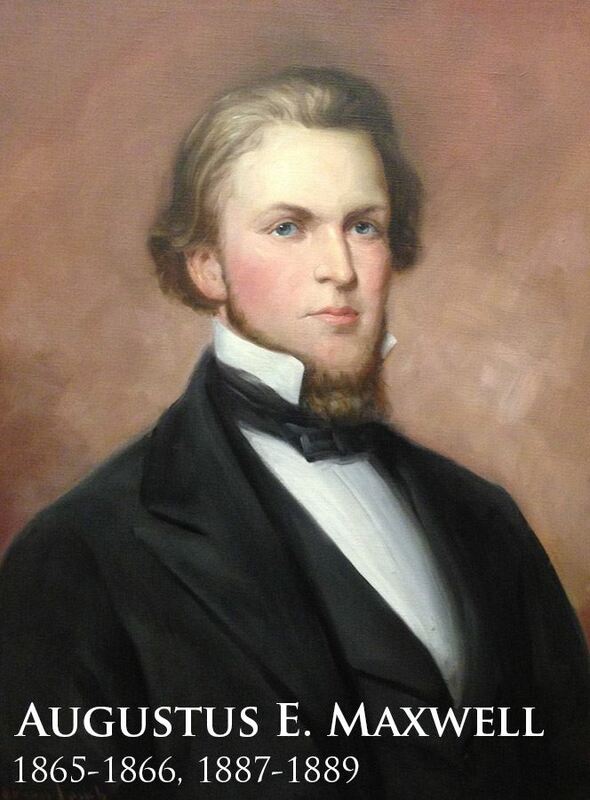 After a comfortable childhood in Virginia, Walker Anderson moved to Raleigh, North Carolina, studied law and married. He struck out for the Florida frontier in 1835, just as the Second Seminole War started. Unsuccessful in business, he returned to the practice of law by 1838 and achieved widespread recognition in West Florida. Voters elected him a delegate to the 1838 Constitutional Convention. He was later elected to the 1840 territorial legislative council. His connections to influential Democratic Party officials earned him appointment as U.S. attorney for West Florida, where, in 1844, he prosecuted the case of Jonathan Walker for attempting to help slaves escape. The case became nationally know for the punishment that resulted: Walker’s hand was burned with a branding iron with the letters “S S” for “slave stealer.” The case of “The Branded Hand” remained controversial as the nation moved toward secession and civil war. Walker also played a role in diminishing the acceptability of dueling in Florida. He remained active in local and regional affairs and was elected to the state House of Representatives in 1850, where he sponsored legislation to create an independent state Supreme Court. The measure passed into law and Anderson was voted by the legislature into the position of Chief Justice. He served a two-year term, then resigned when the legislature voted to have Supreme Court justices selected by popular election. Now suffering from declining health, Anderson returned to his Pensacola law practice. He died four years later. The Thompson family moved to Savannah, Georgia, not long after Leslie was born. The young man studied for and was admitted to the Georgia Bar in 1826, at the age of 20. 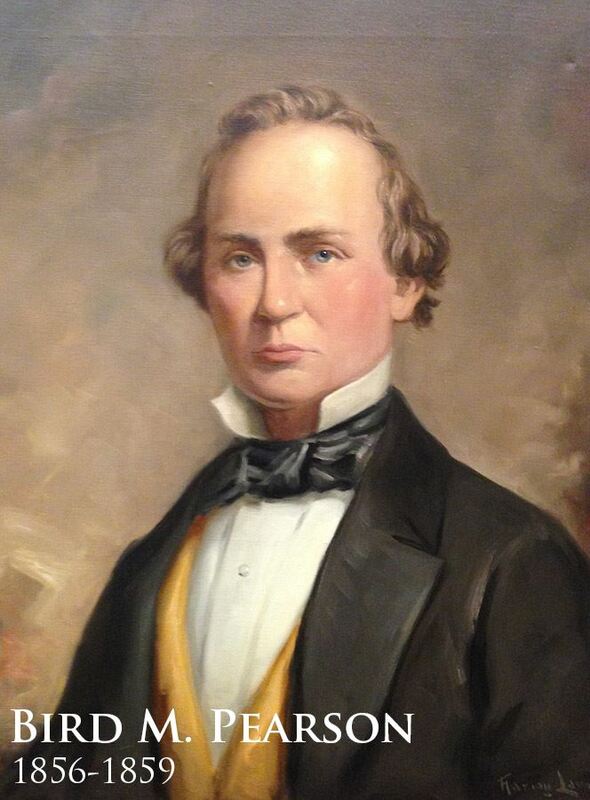 He moved to Tallahassee in 1827. His law practice flourished and Thompson began to participate in the politics of the state capital, beginning as city treasurer and mayor. He represented Leon County in the 1838 Constitutional Convention. Upon statehood, in 1845, Thompson prepared a digest of the laws of Florida that sold 1,500 copies and placed him in the forefront of the legal profession. In 1851, he was elected by the Legislature to the Florida Supreme Court for a two-year term. When Thompson was not reelected in a popular election in 1853, he moved to Texas, where he served as Mayor of Galveston and as a state legislator until his death in 1874. Albert Semmes was a member of a notable extended family that included Confederate Admiral Raphael Semmes (commander of the ship Alabama) and Thomas Semmes, Confederate senator from Louisiana. Albert graduated from the University of Georgia and gained admission to the state bar. He served as the state solicitor general for Georgia’s southern district until he moved to Apalachicola in 1837. There he practiced law and became known for his conservative religious principles. He represented his area at the 1838 Florida Constitutional Convention. Though active in local politics, he did not hold public office until the Whig-dominated legislature voted him in as a Supreme Court justice in 1851. In 1853, when popular election of justices began, he lost the statewide poll. Semmes then moved to New Orleans to be close to his brother. He practiced law there until his death in 1883. Benjamin Wright read law and was admitted to the bar in his native state of Pennsylvania at age 20. By age 24, he had moved to Pensacola, Florida, where he began a law practice and struck up a friendship with Andrew Jackson’s protégé, Richard Keith Call, as well as Territorial Governor William P. DuVal. He was appointed to the Territorial Legislative Council in 1824 and soon also became U.S. district attorney for middle Florida. 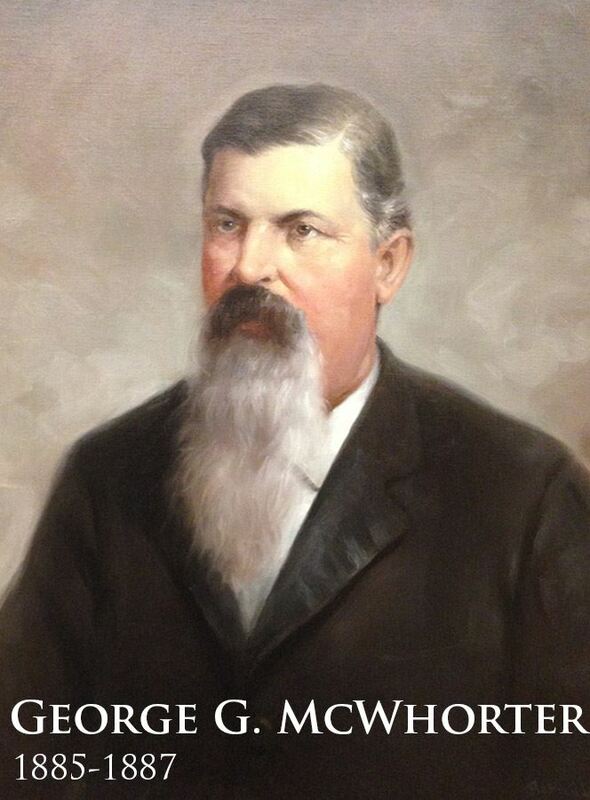 In 1826, he transferred his appointment to become U.S. district attorney for west Florida. Wright came into conflict with Judge Henry Brackenridge in Pensacola which led to Wright losing his appointment in 1830. His law practice remained lucrative and his political support of Richard K. Call led him to run successfully for the Territorial Legislative Council in 1831, 1833, and 1837. Voters also elected him to represent them at the 1838 Constitutional Convention. His interest in politics continued into statehood, when he was elected to the state senate in 1845. He also became a newspaper editor for the Pensacola Gazette, where his editorials criticized both Whig (his own party) and Democratic policies. This led, eventually, to his appointment, in 1853, by Democratic Governor James Broome to fill the unexpired term of Supreme Court Chief Justice Walker Anderson, who had resigned. Voters later that year, however, elected Thomas Baltzell as the first popularly elected Chief Justice, ending Wright’s judicial career. He continued his legal practice and expanded his business interests to railroad development. He remained involved in politics but never succeeded in gaining another elected office. The DuPonts were an affluent extended family and Charles enjoyed a comfortable childhood. He graduated from Franklin College in Georgia and was admitted to the bar in 1826. That same year he moved to Quincy, Florida, established a law practice and oversaw the building of a large cotton plantation. He made connections with Governor William P. DuVal, who enlisted his help in territorial politics. DuPont received an appointment to the territorial legislative council in 1835. When the council became an elective body, he ran for and was elected to the Senate in 1838, where he remained through 1841. He served in the territorial militia during the Second Seminole War (1835-1842). An economic downturn in the early 1840s led him to concentrate on his plantation and his law practice. He also took an interest in railroad development. By 1853, DuPont was one of the wealthiest planters in the state. He remained interested in politics and became an early advocate of the state’s right to secede from the federal union. He also decided to run for popular election to the state supreme court that year, and succeeded. A highly publicized dispute with Chief Justice Baltzell in 1859 led him to run (successfully) for chief justice against Baltzell the next year. He presided throughout the Civil War and the first years of the Reconstruction Era, but in 1868, Congressional Reconstruction led to a new state constitution and his loss of office. Though his financial status was reduced by the end of slavery, he began promoting tobacco as an economic alternative. His efforts led Quincy area farmers to develop a highly successful shade tobacco product later in the century. He also sought to attract immigrants to Florida to replace the freed slaves. DuPont fell ill during a trip to Minnesota in 1877 to recruit immigrants. He returned home to Quincy only days before his death. Bird Pearson grew up and studied law in South Carolina. 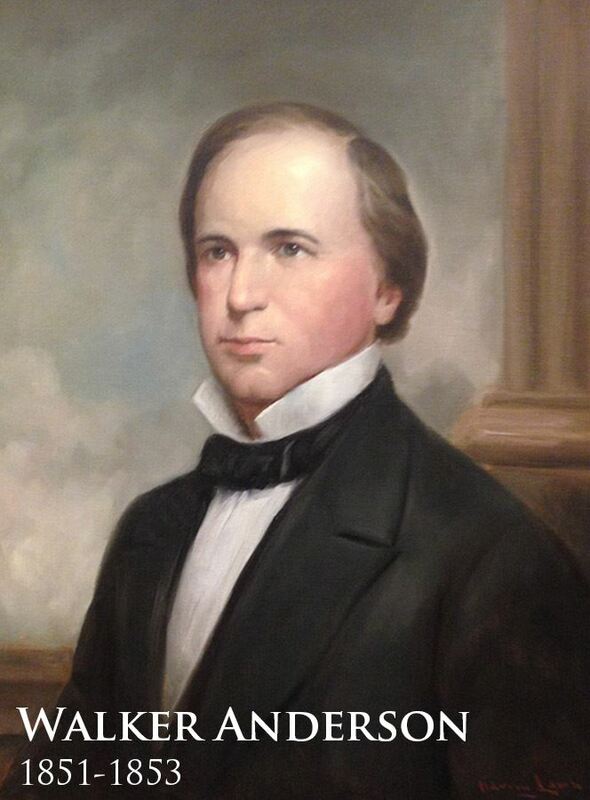 He practiced law and served as a state solicitor in his home state until 1838. He later established a plantation in Alabama, and then another near Brooksville, Florida, in 1845. Pearson moved again, to Jacksonville, in 1851. He prospered there, and became active in Democratic Party politics. Pearson considered entering the race for Supreme Court Justice in the first popular election for the court in 1853. 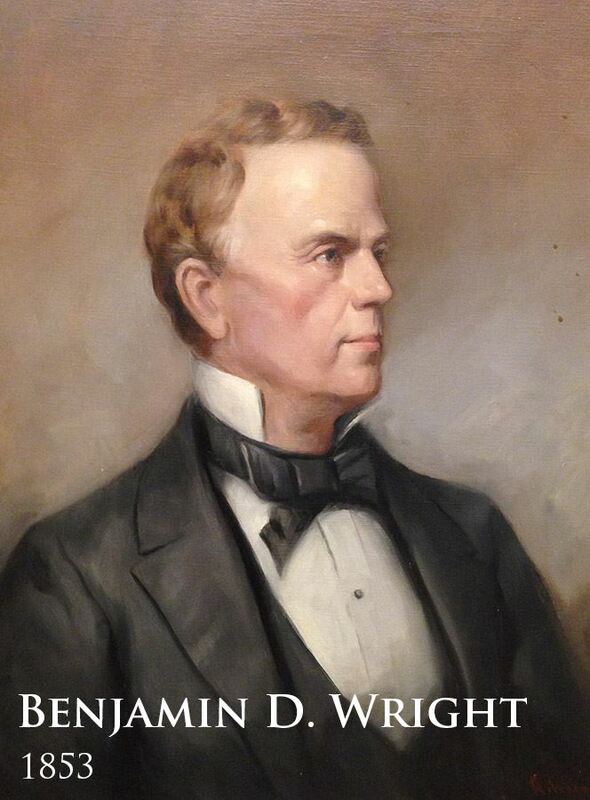 He declined the opportunity that year, but, in 1855, when Justice Thomas Douglas died, Pearson reconsidered, campaigned, and won the right to fill the remaining four years of Douglas’s term. Justice Pearson was plagued by ill health throughout his tenure on the court. He declined to seek reelection in 1859 and retired back to Jacksonville, where he died that Fall. William Forward’s father moved from his native New York to Canada after the War of 1812, because of his positive impressions of that region. William studied law in Canada, but in 1838 he joined a group of rebels trying (unsuccessfully) to break away from British rule. Forward was captured, imprisoned, and then banished from Canada. He decided to try his fortunes in the American South. In company with Isaac Bronson, he settled in St. Augustine, and started a law practice. He also joined the Democratic Party in 1840 and became a leading light in the politics of East Florida. In 1844, voters elected him to the Territorial Legislature and he served as speaker of that body until it was dissolved by Congress upon the admission of Florida to statehood in 1845. Under statehood, Forward was elected to both the Florida House and Senate over the next eight years. 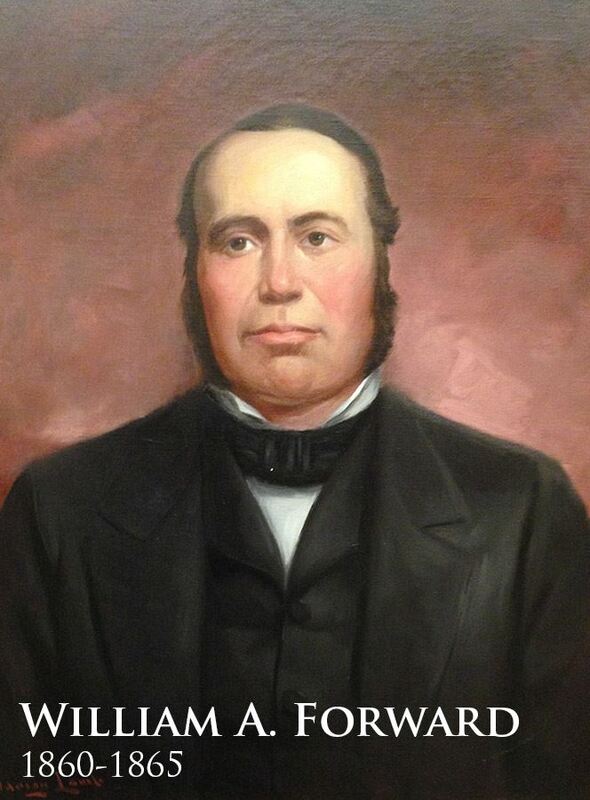 In 1853, he ran against the popular Thomas Douglas and gained election as circuit judge of the East Florida district. In 1857, Forward returned to private practice, but two years later decided to run for election to the Supreme Court. He assumed office in 1860. His strong leanings toward the Southern point of view led him to support secession. He even volunteered to be a foot soldier in the Second Florida Infantry Regiment. But, in the end, he remained on the Supreme Court until July 1865 when he became ill and decided to resign. While traveling north to find a treatment for his illness, he died in Savannah, Georgia. David Shelby Walker was born near Russellville, Logan County, Kentucky, on May 2, 1815, the son of David and Mary (Barbour) Walker. He was educated in private schools in Kentucky and Tennessee and studied law with his elder brother, George K. Walker, who preceded him to Florida. In 1837, he settled in Leon County. He became a member of the first state Senate in 1845 and of the House of Representatives in 1848. 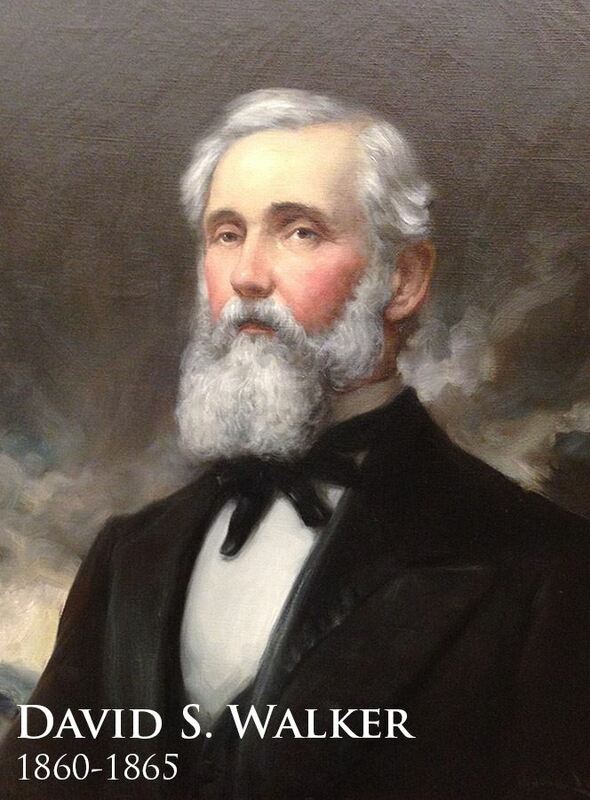 He was mayor of Tallahassee in 1852, and state registrar of public lands from 1850–1859. In 1856, he was the unsuccessful American Party candidate for governor. Walker was elected an associate justice of the Supreme Court in 1859, where he served until 1865. Elected governor under the constitution of 1865, his administration was terminated in June, 1868, by the inauguration of a new constitution that year. He returned to the private practice of law until 1879, when Governor George F. Drew appointed him judge of the Second Judicial Circuit, where he served until his death in 1891. Augustus Maxwell enjoyed a privileged childhood capped by his legal studies at the University of Virginia, where he was named chairman of the student body. He graduated in 1841. 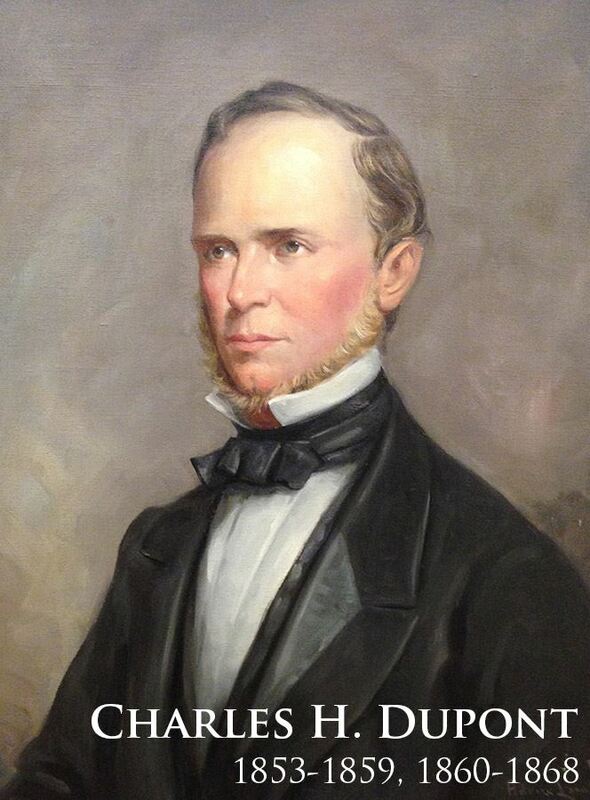 Maxwell married and moved to Alabama to start his law practice, then to Tallahassee, Florida, in 1845. He was the first attorney admitted to practice before the Florida Supreme Court. He received appointments from Governor William Moseley to serve as State Attorney General and later Florida Secretary of State. In 1849, voters elected him to the state senate. Three years later, he went to the U.S. Congress as Florida’s representative and served two terms. Maxwell retired from Congress to live in Pensacola where he became president of the Alabama and Florida Railroad Company. He supported Florida’s secession from the Union and was elected to the Confederate States Senate in Richmond, Virginia, in 1862. 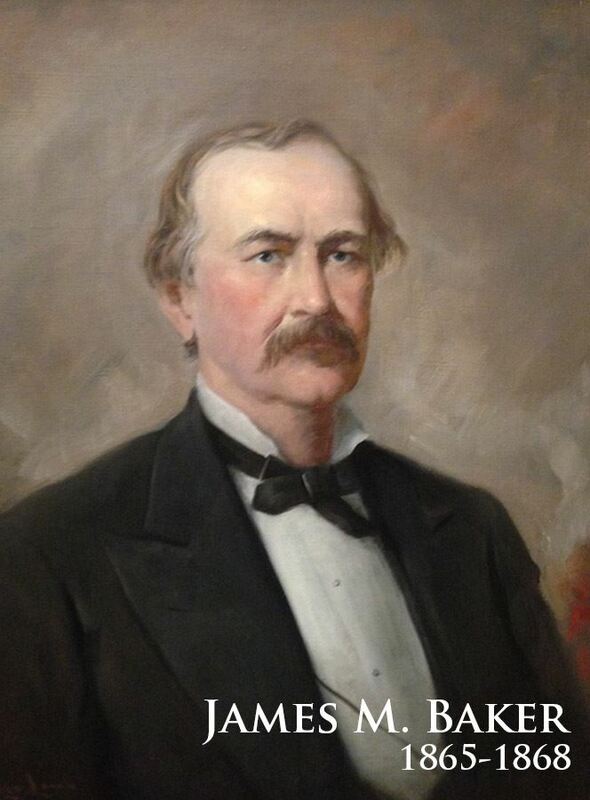 He returned to the practice of law at the end of the Civil War, accepted an appointment to the Florida Supreme Court in 1866, but resigned to resume his presidency of the Alabama and Florida Railroad. He also kept active in Democratic Party politics, which led to his appointment by Governor George Drew to the first judicial circuit at Pensacola in 1877. 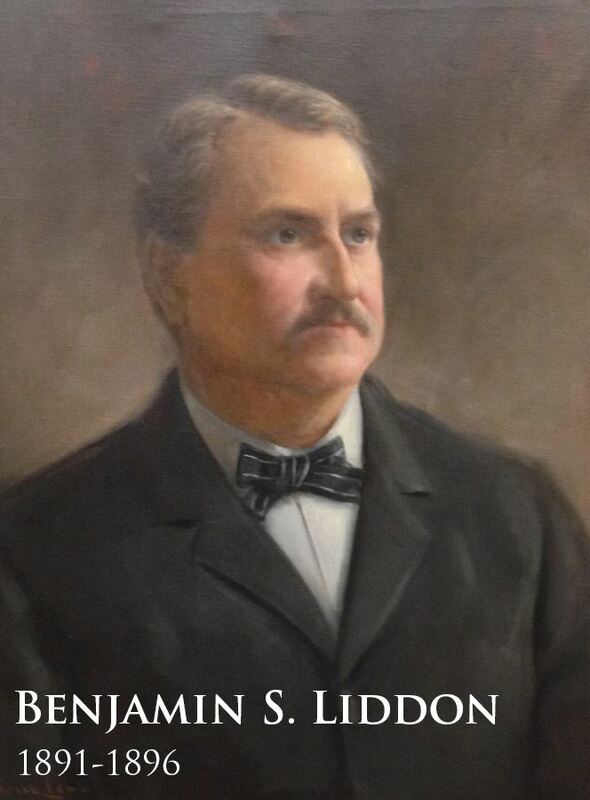 In 1887 he moved to the Florida Supreme Court again, appointed Chief Justice by Governor Edward Perry. In 1888, he stood for election to the court and was victorious. The next year, justices drew lots to determine their positions and length of their first terms on the court under the new constitution. George Raney replaced Maxwell as chief justice; Maxwell also drew the shortest term. In 1890, he stepped down from the court and back into to a private law practice until he retired in 1896. He lived his last years with the family of his daughter’s husband in Chipley, Florida. Justice Maxwell holds the unique distinction of being the son-in-law of one justice (Walker Anderson, 1851 – 1853) and the father of another (E. C. Maxwell, 1902 – 1904). When Florida seceded from the Union in 1861, Baker was not in favor of the move, but he supported his adopted state and later that year Florida voters elected him to the Confederate Senate in Richmond. He was reelected in 1863. At first he fully supported the policies of Confederate President Jefferson Davis, but by 1864, he developed strong opposition to the high taxes and conscription of skilled workers that imposed hardships on the states. After the war, Florida Governor David Walker appointed Baker to the state supreme court. In 1868 a new constitution went into effect and Baker, as well as the two other justices, was not returned to office. He felt bitter toward the reconstruction policies of the U.S. Congress and worked to advance the cause of the Democratic Party. Baker pursued his legal career and developed a stronger interest in his Presbyterian church. Governor William Bloxham appointed Baker judge of the fourth judicial circuit in 1881, where he remained until ill health forced his retirement in 1890. He died two years later. Samuel Douglas graduated with honors from the University of Virginia, after which he began the practice of law in his native state. His political leanings brought him to the attention of leaders of the Whig Party. President John Tyler appointed Douglas to the federal bench as judge of the Territory of Florida’s middle district superior court in 1841. At age 29, he was the youngest man to sit on the territorial court of appeals. He found the territory to be a violent and lawless place. President Zachary Taylor appointed Douglas to the post of U.S. collector of customs at Key West, where he served until 1853. With the onset of the Civil War, Douglas served in the Confederate judiciary in Virginia, returning to Tallahassee after the war’s end in 1865. 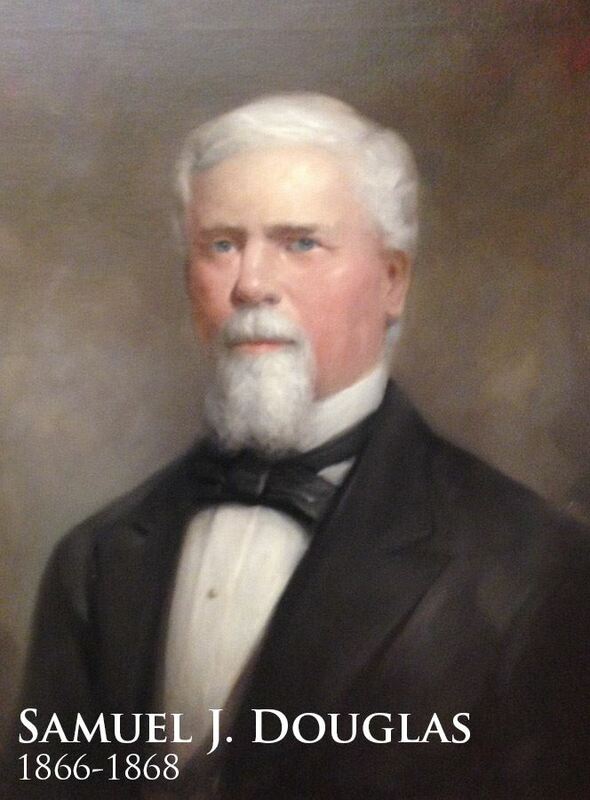 Governor David Walker, a long-time associate of Douglas, appointed him to the Florida Supreme Court in 1866, where he served until a new state constitution came into effect in 1868 and a new governor appointed other men to the Supreme Court. Douglas died at his home in Tallahassee. 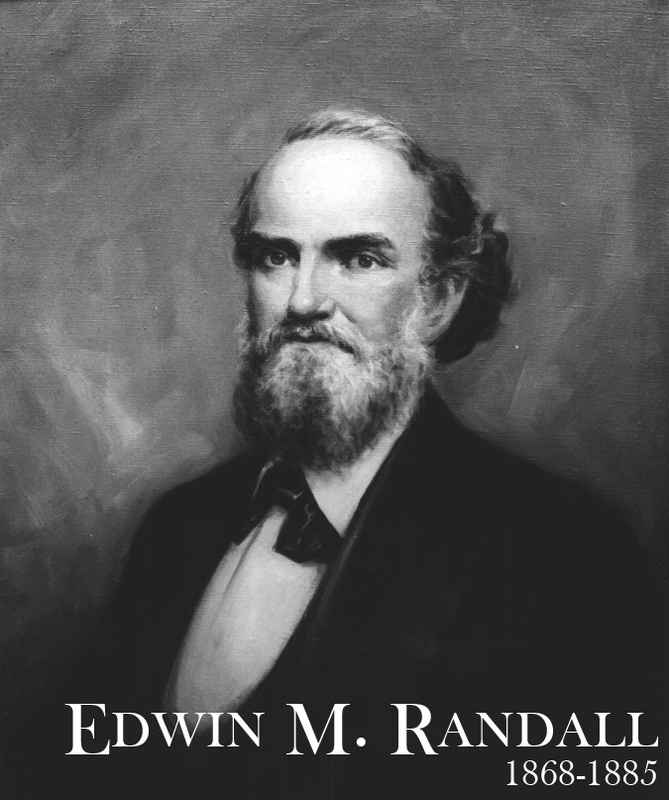 Edwin Randall’s father, an attorney and a judge, tutored his son, who also chose a career in the law. 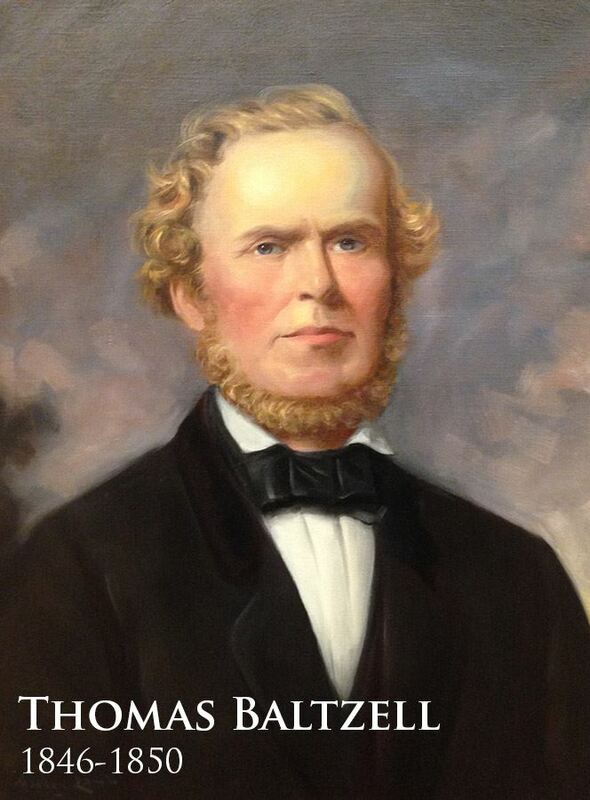 He was admitted to practice in 1844 and moved to Wisconsin in 1845 to join his brother Alexander’s law firm. Edwin pursued his legal career in the 1840s and 1850s while his brother pursued politics, becoming governor of Wisconsin in 1857. Edwin made a friend of newspaper editor Harrison Reed of Madison, Wisconsin, at this time. Both Randall brothers went to Washington in 1863 to work in the Lincoln administration, in the Post Office department. Alexander became postmaster general in the Andrew Johnson administration in 1867. He sent his brother Edwin to Florida to work with his old friend, Harrison Reed, who was the state’s postal agent. Reed emerged in 1868 under the new state constitution as the successful Republican candidate for governor. He soon appointed Edwin Randall as chief justice. Under the 1868 Constitution, Supreme Court justice appointments were for life. 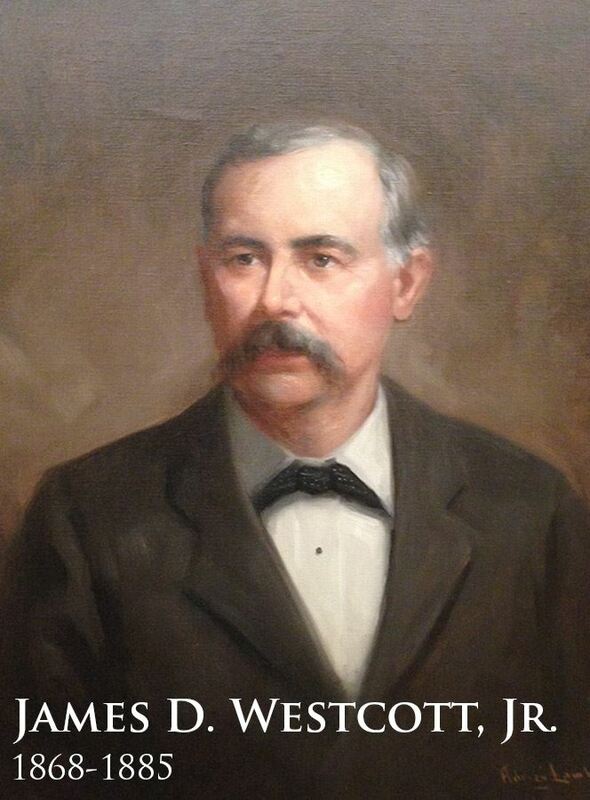 Randall retired in 1885, the longest-serving chief justice in the state’s history. He participated in the Constitutional Convention of 1885, which changed the terms of the office from appointive to elective and from life to six-year terms, the chief justice to be selected by lot. 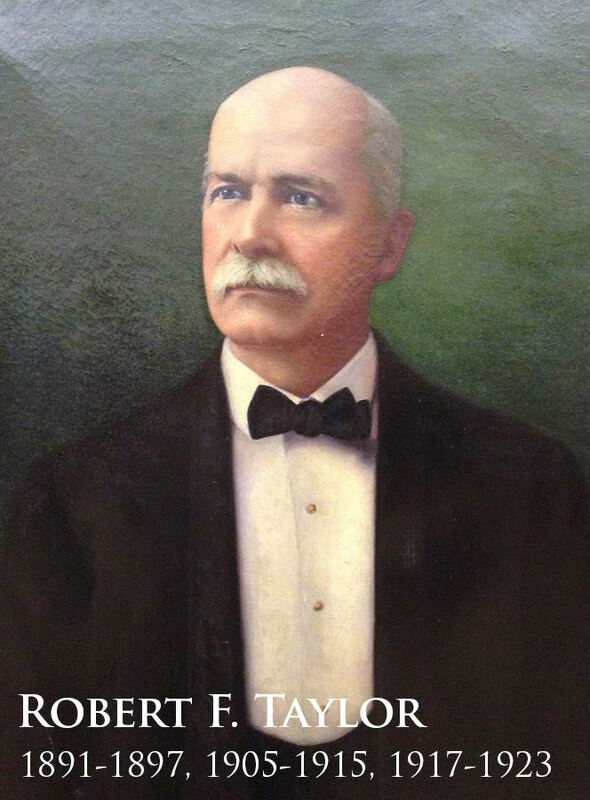 Randall practiced law in his hometown of Jacksonville until his health began to decline in 1893. He died two years later. The first native-born Floridian to serve on the Supreme Court, Ossian Hart was the eldest son of one of the founders of the city of Jacksonville. He read law with his father and Florida Supreme Court Justice Joseph Lancaster, and was admitted to the bar in October 1842. Hart moved south to Fort Pierce in 1844 where he was elected to the last session of the Territorial Legislative Council before statehood. A hurricane prompted him to move his family to Key West in 1846. By the 1850s, Hart had become one of the most successful lawyers in the state. In 1856, he moved to Tampa to expand his practice. While there, he defended a slave named Adam, who was accused of murder. Hart successfully appealed a guilty verdict that had been based solely on the prosecutor’s emotional appeal to the jury. Tragically, a white mob lynched Adam as soon as the Supreme Court order for a retrial was handed down. The experience deeply affected Hart’s views of race relations and the value of law in an orderly society. He never purchased a slave, though, eventually, he inherited many from his father. He also believed very strongly in the federal union and refused to go along with secession, putting himself and his family in some danger. At the end of the Civil War, Hart emerged as a strong supporter of Reconstruction. Jacksonville became a center of Republican Party activity, and Hart became one of the party’s leaders. He was a delegate to the 1867 Constitutional Convention. After the election of Harrison Reed as governor, Hart was appointed to the Supreme Court. Greatly interested in politics, Hart maneuvered for political office, finally obtaining the Republican nomination for governor in 1873. He won against Democrat William Bloxham, resigned his Supreme Court appointment and began putting his own reconstruction policies into place. However, his health had suffered during the election campaign and he died of pneumonia the next year. While his father, James Westcott, participated in Democratic Party politics and served as a U.S. Senator from Florida, James, Jr. remained in Tallahassee, where he attended the West Florida Seminary and later gained appointments as Assistant Secretary of the Senate and secretary to Governor Madison Perry. Westcott held positions in the Confederate States government in Florida, and after the war, he went into private practice in Tallahassee, where he attracted the interest of Republican Governor Harrison Reed. In 1868, Reed appointed Westcott, despite his Democratic Party affiliation, to the Supreme Court. He served as a justice during the chaotic period of Reconstruction. A talent for legal research and writing earned Westcott the opportunity to write many of the opinions handed down by the Supreme Court, especially on a number of complex legal issues. He authored 267 opinions in the 17 years between his appointment and his retirement in 1885. He died in 1887 and was buried in Tallahassee’s Old City Cemetery. A lifelong bachelor, Westcott left his entire estate, a considerable sum, to his old school, the West Florida Seminary. The gift provided economic stability to the school that has evolved into Florida State University. In 1936, the school named its administration building in his honor. Franklin Fraser completed his education at Union College in Schenectady, New York, read law and was admitted to the bar in 1842. Colleagues characterized his legal style as careful, painstaking, and tenacious. He achieved success in both the office and the courtroom. His older brother Philip had moved to Florida in the 1840s and achieved much success in Jacksonville, gaining the friendship of Ossian Hart. With the onset of Civil War, Philip returned to Montrose, New York, but returned to Florida in 1863 as President Abraham Lincoln’s appointed federal judge of the Northern District of Florida. Younger brother Franklin accompanied him as his law clerk. After the war, Franklin became acquainted with then-Justice Ossian Hart and promoted Hart’s candidacy for governor in 1873. When Hart was elected, he appointed Franklin as his own successor to the high court. 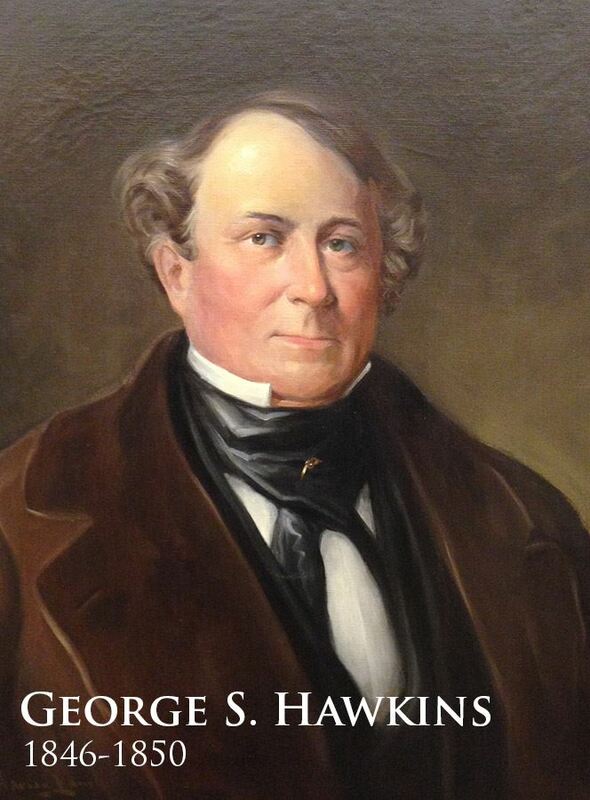 Governor Hart died in office in 1874. Fraser decided against continuing on as justice, disturbed by the chaos and turmoil of Reconstruction politics in the South and deeming his justice’s salary as inadequate. He returned to the North, first to Pennsylvania, then to his native Montrose, New York. He died suddenly of pneumonia in the winter of 1879, four years after he left Florida. As a youth, Robert Van Valkenburgh participated in the Canadian Rebellion of 1838, though, unlike William Forward, he was never captured. Instead, returning to his home state of New York, Van Valkenburgh read law, and passed the bar in 1843. He joined the Whig Party and became active in politics, becoming widely known for his oratorical skills. He won election to the New York State Assembly in 1856, then the U.S. House of Representatives in 1861, as a Republican. Van Valkenburgh spent time during the war in recruiting volunteer regiments, raising 17 in all. He commanded one of them at the strategic Battle of Antietam in September 1862. In late 1865, President Andrew Johnson appointed Van Valkenburgh as U.S. Minister to Japan, where on one occasion, he commandeered a warship and, with 300 volunteers, rescued the Japanese prime minister from capture by rebels trying to take over the government. In April 1871, he returned to the U.S., suffering from rheumatism, and decided to relocate to Jacksonville, Florida. There he joined with liberal Republicans and some Democrats in promoting a number of issues of Reconstruction politics. When Governor Ossian Hart died, his Lieutenant Governor, Marcellus Stearns, took over and appointed Van Valkenburgh to the state’s high court. Together with James Westcott and Edwin Randall, he remained on the court for an extended period of time, lending some stability to the high tribunal during a period of intense political and social upheaval. Van Valkenburgh’s rheumatism prevented him from taking a very active role in the court’s business but his expertise in criminal law was put to good use. Gradually, his health deteriorated further. Within a year of his wife’s death in 1887, Van Valkenburgh died also, while still a member of the court. George Raney grew up on the Florida frontier. He was admitted to the University of Virginia in 1862, but withdrew to join the Confederate Army, where he achieved the rank of sergeant major by the war’s end. Raney resumed his studies at the University of Virginia after the war and was then admitted to the bar at Apalachicola in 1867, where he began his law practice. He also involved himself in the Democratic Party, and was elected to the state House of Representatives in 1868. He moved permanently to Tallahassee the next year. Raney worked hard to promote the Democrats and planned the party strategy that enabled George Drew to win the governor’s race in 1876. The new governor appointed Raney to his cabinet as Attorney General. The appointment was renewed by Governor Bloxham in 1880. 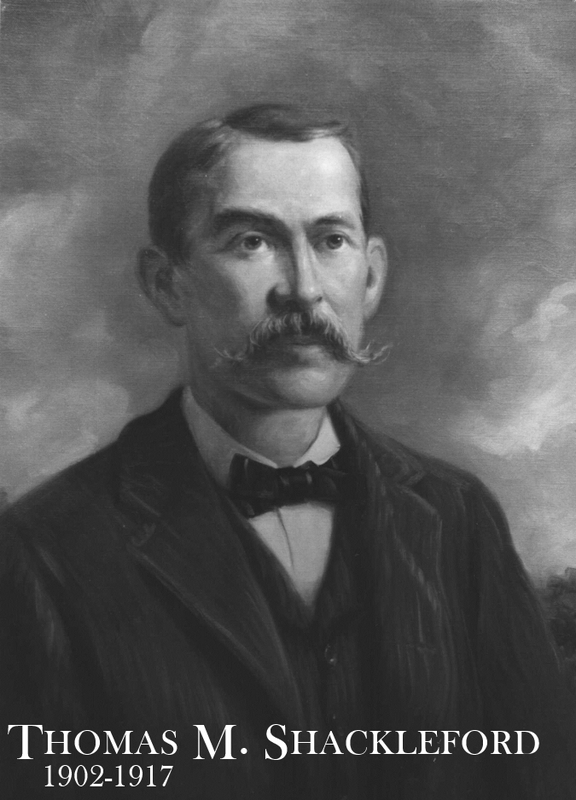 Raney played a major role in the 1881 purchase of four million acres of Florida swampland by the first of Florida’s great industrialist developers, Hamilton Disston, of Philadelphia. In 1885, incoming Governor Edward Perry appointed Raney to the Supreme Court. In 1888, with popular election of justices, Raney was returned to office, and by lot received a six-year term and the position of Chief Justice. At the end of this term Raney resigned to once again take part in state and local politics. Once in private practice, he often represented railroads in court and before the state’s regulatory board, the Railroad Commission. 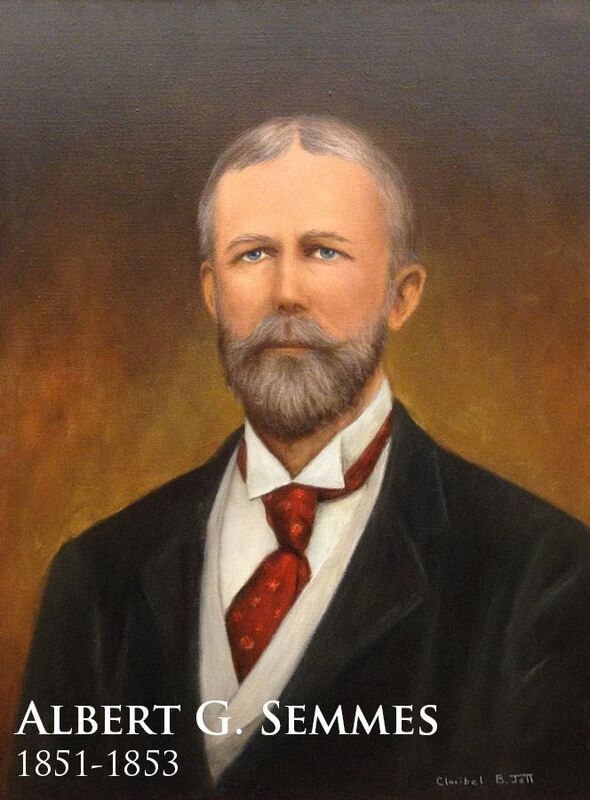 He became a well-known elder statesman in Tallahassee, campaigning to keep the city as the state capital in 1900. Raney died suddenly of pneumonia in 1911. A native of Alabama and an alumnus of the University of Alabama and the University of Georgia, George McWhorter moved to Milton, Florida, in 1857, and settled there permanently in 1859. He was admitted to the bar that year as well, and developed a prosperous law practice that was interrupted by the Civil War. After the war, McWhorter developed professional and personal friendships with many of the leading Democratic Party members of the time. Though not in control politically, the Democrats moved to the front of state politics in the years after the end of Reconstruction. 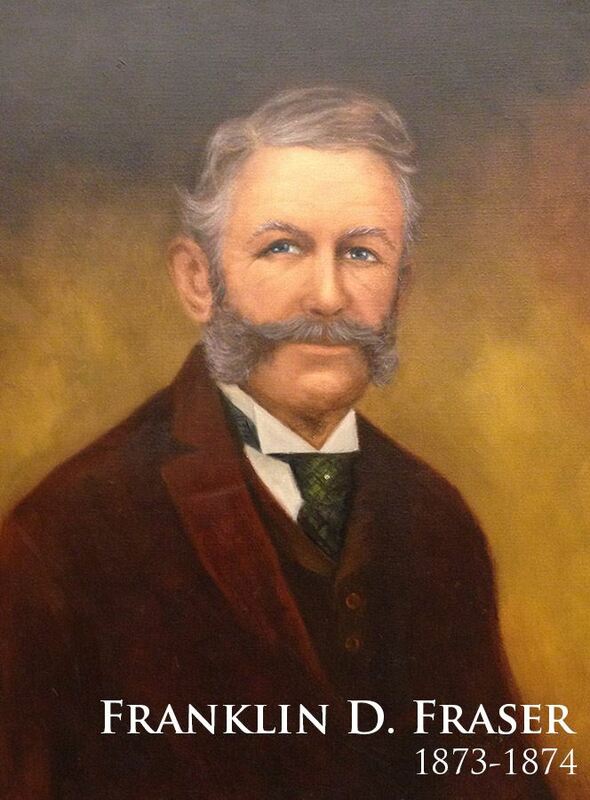 In 1877, McWhorter was elected to the Florida House of Representatives, and then elected Speaker of the House. His involvement in politics continued as he campaigned for Edward Perry for Governor in 1884. After Perry was elected, he appointed McWhorter as a Supreme Court Justice in 1885. McWhorter served only two years, then accepted an appointment to head the newly established Railroad Commission. By 1891, McWhorter developed a severe case of rheumatism, which led him to retire back to his country home in Santa Rosa County. He died there later that year. Raised in Alabama and rural Florida, Henry Mitchell decided to make a change from tending livestock and crops for his father and studied law in the small village of Tampa in 1852. By 1857 he had been admitted to the bar and began practice. He argued cases before the Supreme Court when it sat in Tampa as part of its yearly circuit. Mitchell served in the Confederate Army during the Civil War. After the war, he found that he needed to supplement his income and became a newspaper editor for a strongly partisan Democratic journal. His advocacy against the Reconstruction policies of then-Governor Ossian Hart helped him gain a large following in the Democratic Party. He was appointed judge of the sixth judicial circuit in 1877, at the end of the Reconstruction period. Mitchell also speculated very successfully in land when the Plant System Railway built a line to Tampa in the early 1880s. In the late 1880s, the new 1885 Constitution required that Justices of the Supreme Court run for office in contested elections. Mitchell gained his party’s nomination, was elected, and began a four-year term in January 1889. 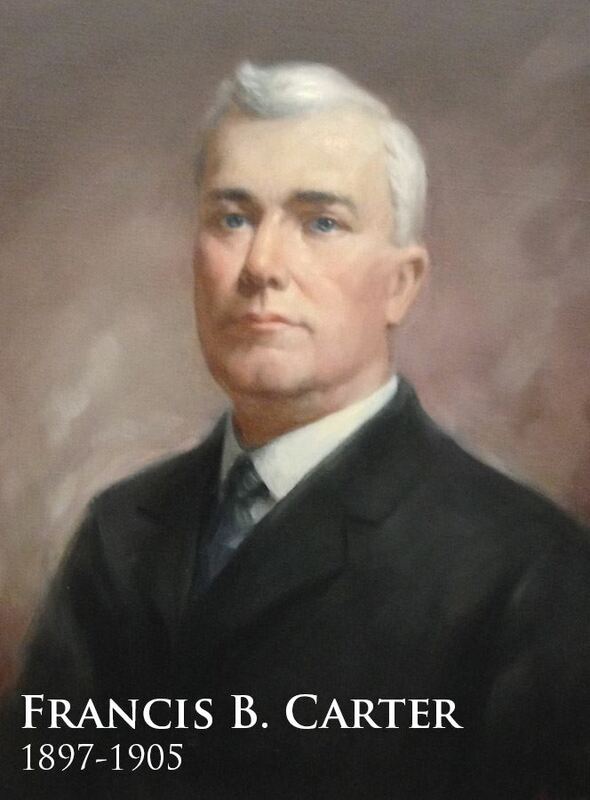 He sat on the court only until 1892, and then resigned to run for governor. His term in that office was marked by major agricultural and financial disasters. He retired to Tampa, where he was elected circuit court clerk and later became county treasurer. The longest-serving justice of his era, Robert Taylor began life on his family’s plantation in coastal South Carolina, but moved with his parents to Marion County, Florida in 1852. 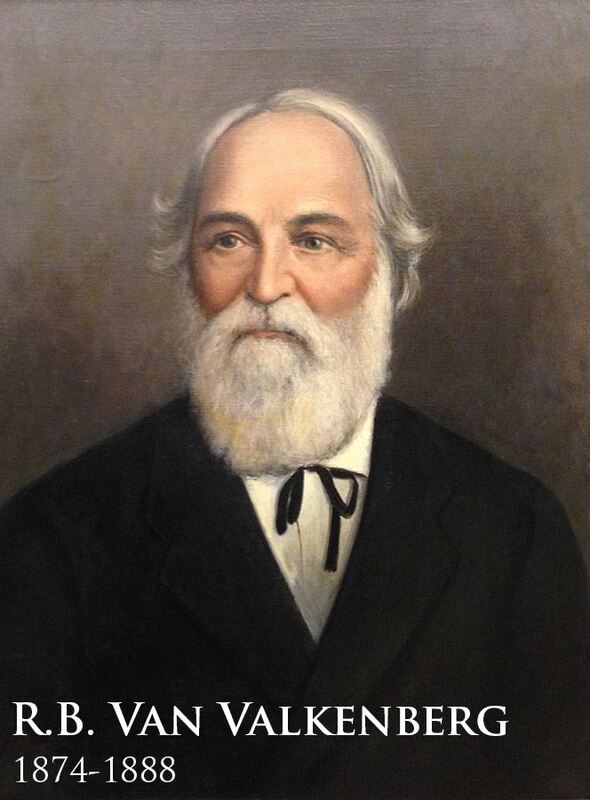 He studied at the East Florida Seminary at Ocala, and participated in the 1864 Civil War engagement at Gainesville. After the war, he continued his education and read law, gaining admission to the bar in 1870. Throughout the 1870s and early 1880s he practiced law in Gainesville and worked behind the scenes in Democratic Party politics. He was elected as a constitutional convention delegate in 1885, and then, in 1891, received an appointment to complete the term of Henry Mitchell on the Supreme Court. The next year he won election to the post and was re-elected five more times until he retired in 1925. During those years he authored 564 opinions and participated in over 8,000 decisions, amounting to more than 75% of all the cases decided by the court from its beginning until 1925. As a justice, he sometimes took very unpopular stands. His conservative philosophy led him to resist overregulation of business and to oppose quick convictions of individuals in an era of increasing racial injustice. 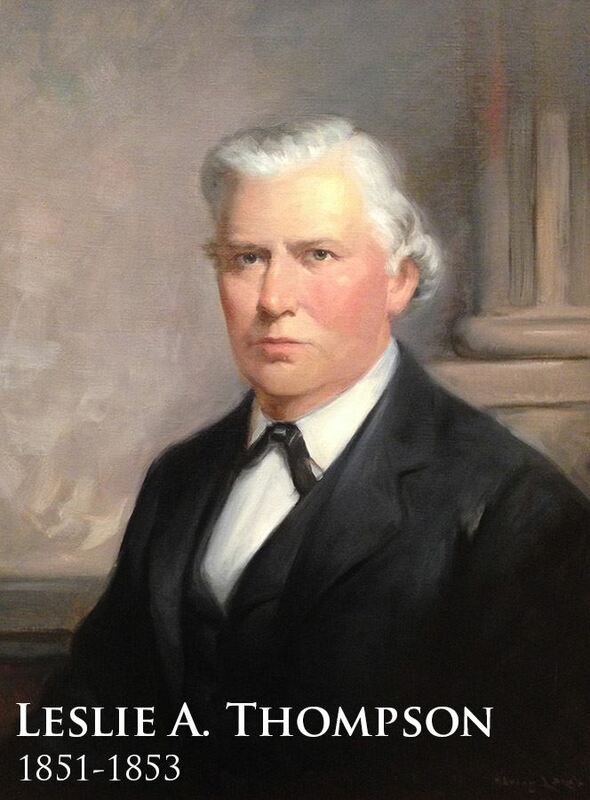 He also participated in furnishing the new courtroom in the 1902 expansion of the capitol building. Some of those furnishings remain in the restored building today. Taylor participated in many fraternal organizations and was active in hunting, fishing, and horseback riding into his old age. He was thrown over his horse’s head in 1919 at the age of 70, but fully recovered from the accident. In 1927, two years after he retired, the justice contracted pneumonia and died. The son of an itinerant merchant, Milton Mabry attended a number of schools, finally arriving at the University of Mississippi at Oxford. After two years there, he transferred to Cumberland University in Tennessee, where he entered the law department, graduating in 1872. He settled in Tupelo, Mississippi, where he began a law practice and participated in Democratic Party politics. His friend and fellow attorney William Hocker (later a Florida Supreme Court justice) moved to Florida in 1874 and persuaded Mabry to do the same in 1879. Mabry was elected state representative in 1882, and lieutenant governor of Florida in 1885. 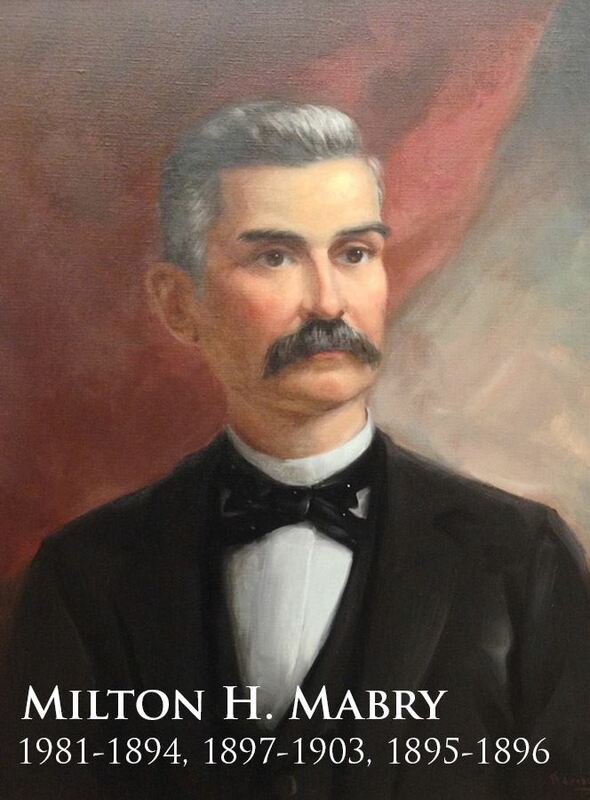 The 1885 constitution eliminated the post at the end of his term, and, in 1890, Mabry was elected to the Florida Supreme Court. Colleagues remembered the justice as being particularly concerned with preserving the writ of habeus corpus “free from cost, from formalities in obtaining it, and from technicalities in the procedure.” By 1903, he decided that he needed to return to private practice to earn enough money for a comfortable retirement. Mabry moved to Tampa, briefly, until his former colleagues on the court persuaded him, in 1905, to return to Tallahassee as Supreme Court clerk. He remained in this position until he retired in 1915 and again moved to Tampa, where he died four years later. Benjamin Liddon’s ancestors were among the original American settlers of Jackson County. His father died in battle as a Confederate soldier at Petersburg, Virginia. Benjamin attended schools and worked in the lumber industry until he earned a position teaching. He studied law as well and was admitted to the bar in 1875. He served as superintendent of schools for Jackson County between 1877 and 1879 and as a member of the board of education of the West Florida Seminary (now Florida State University). Liddon also ran for political office, serving as mayor of Marianna. 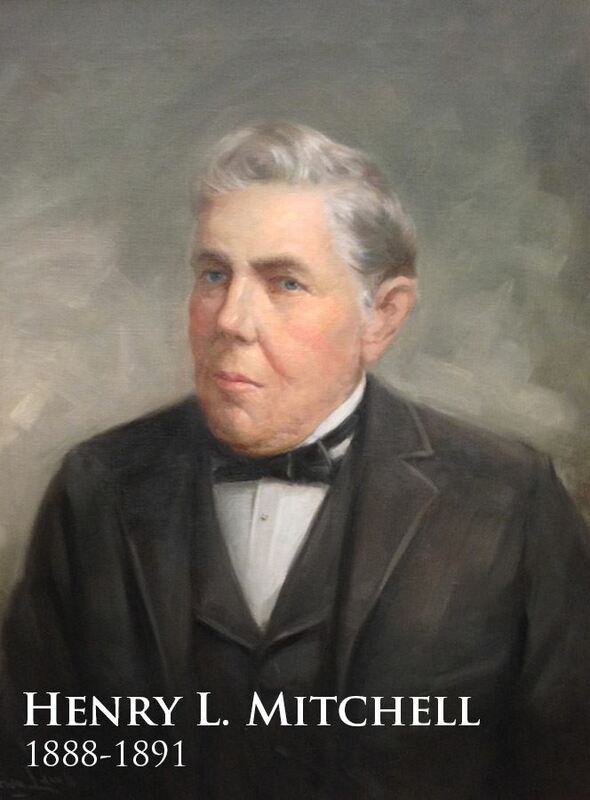 His powers of oratory were considerable, and fellow attorneys remembered “an irresistible voice that charmed and swayed juries.” He used his legal skills and political contacts to advance his career in the 1880s, as he argued cases for some of the major railroad companies in the state. He edited the Marianna Courier newspaper, taking a Democratic Party position on the news of the day. In 1894, he was chosen by Governor Henry Mitchell to sit on the Supreme Court. Only three years into his six-year term, however, Justice Liddon resigned and returned to private practice, where he felt he could better apply his political and legal talents. He died in New Orleans while attending the wedding of his son. 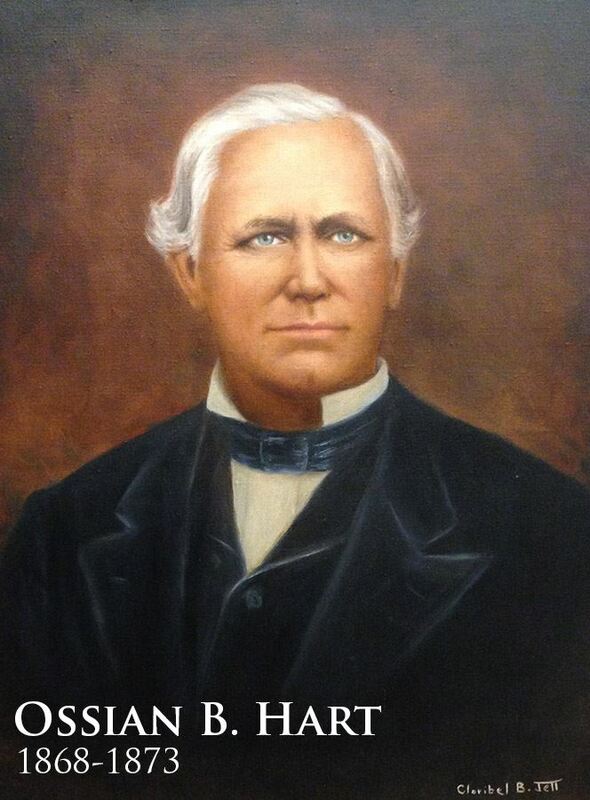 Francis Beauregard Carter began his legal career by reading law in the office of Marianna attorney Benjamin Liddon. After gaining admission to the bar in 1882, they formed a law partnership. Liddon accepted an appointment to the Supreme Court in 1894, and when Liddon resigned from the court in 1897, Cater was appointed to succeed him. Carter’s wife did not enjoy life in Tallahassee, however, and when he saw an opportunity in 1905 to secure the position of first circuit court judge in Pensacola, he took it. Carter later became a partner in an established Pensacola law firm that specialized in corporate law. He argued many cases on behalf of the Louisville and Nashville Railroad in the Florida Supreme Court. In 1920, he was unsuccessful in securing an appointment to the federal judiciary, and in 1926, he lost an election for a seat on the Florida Supreme Court. He went on to found his own law firm, in partnership with two of his sons, where he worked until his death. Thomas Shackleford attended college in Tennessee and at Harvard University. 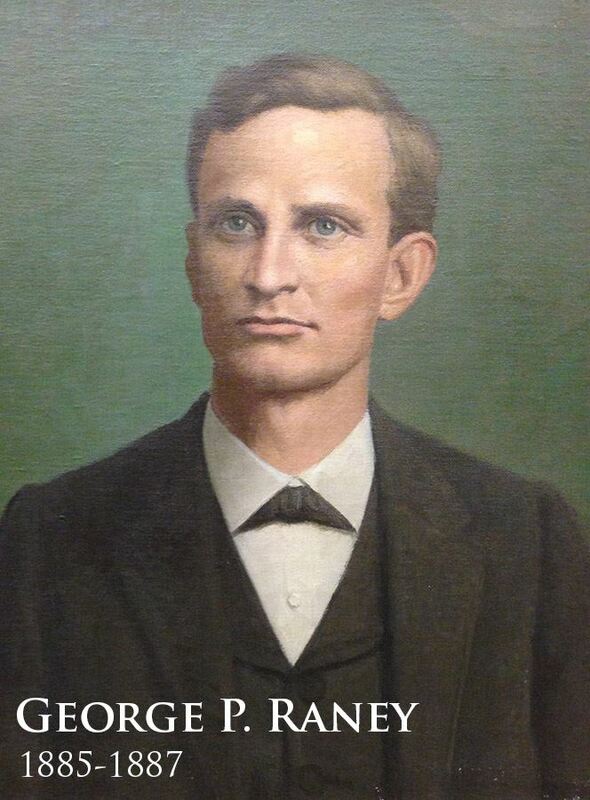 He read law in his home state and was admitted to practice in Tennessee in 1882. He married and moved to Florida that same year. In 1883, the couple settled in Brooksville, where he became a firm friend of fellow attorney William S. Jennings over the next 10 years. When Jennings ran for governor in 1900, Shackleford campaigned for him in the Tampa area, contributing to Jennings’s success. By 1902 the press of business before the Florida Supreme Court was so strong that the legislature placed a constitutional amendment on the ballot that fall, increasing the number of justices on the court from three to six (two teams of three). The amendment passed and Shackleford persuaded his old friend Governor Jennings that he had the ability and ambition to sit on the high court. Jennings appointed him in December of 1902. He served for the next 15 years, twice as Chief Justice. As experienced by other jurists of the time, the low salaries of the justices made life difficult, at times, for Justice Shackleford and his family. Finally, in 1917, he resigned to join a law firm established by his sons in Tampa, where he practiced until his death, ten years later.